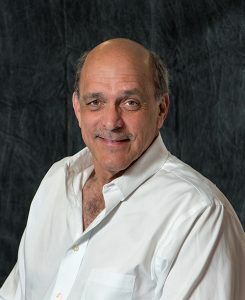 Sam is an Advanced Certified Business Advisor with the Mid-Hudson Small Business Development Center (SBDC), who has a BBA from Baruch College, and extensive practical experience accumulated over more than 40+ years as a business owner, entrepreneur and consultant. Sam is actively involved in the economic development community throughout the Mid-Hudson area. During his 16-year tenure at the SBDC he has been honored numerous times for his annual contributions to the overall performance of the program. Sam is a three-time recipient of the top honor of the New York State Business Advisor of the Year, and twice received the prestigious national ASBDC Star Performer award. Not stopping there, Sam has been recognized as one of the top five advisors in the State of new York several times over, and most recently for the past three years in a row. In his 16 year tenure with the SBDC Sam has counseled hundreds of clients who have generated well over $125,000,000 in economic impact to the Hudson Valley, and created or saved in excess of 2,500 jobs. Sam joined our Board of Trustees at the request of Spectrum Services Co-Founder, Susan Buckler, who has been a long time friend! Sam takes pride in serving on the Board of Trustees of Spectrum Services, and the amazing positive impact the Center and it’s programs has on the lives of the students and their families.